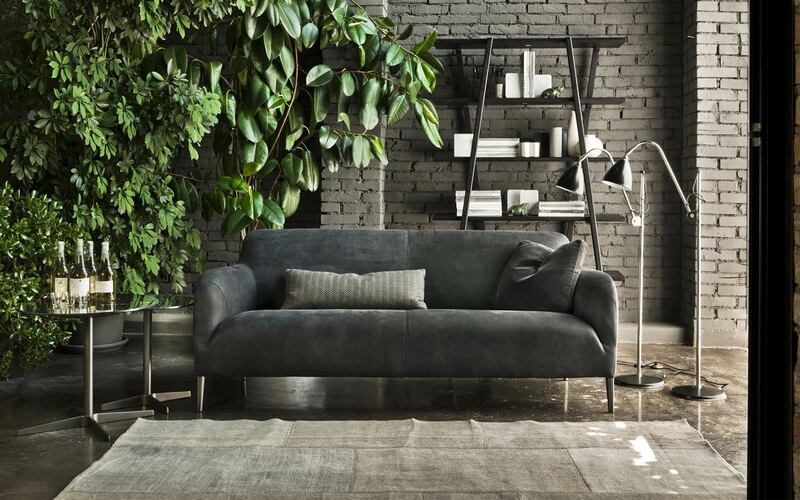 The Blumun sofa is a prime example of minimal design, elegance and comfort coming together to create a truly unique piece of furniture. 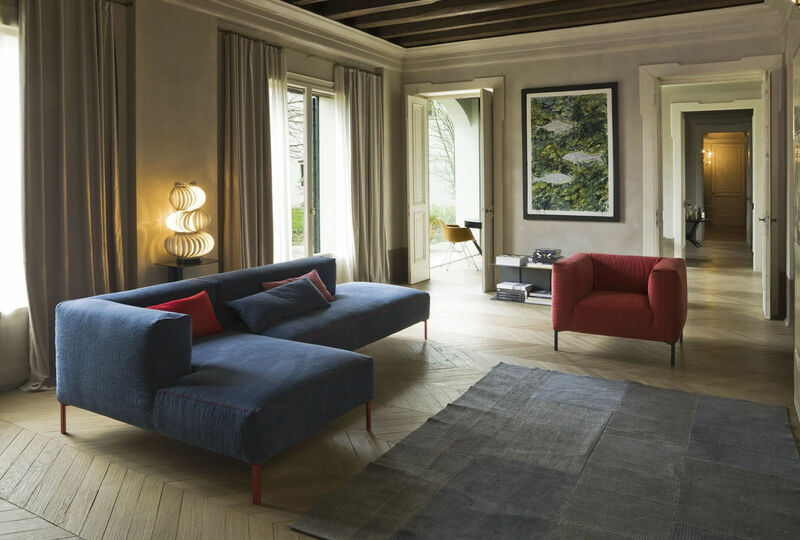 The Blumun is available with high or low backrests, both versions available with high armrests or armrest cushions to suit your needs. 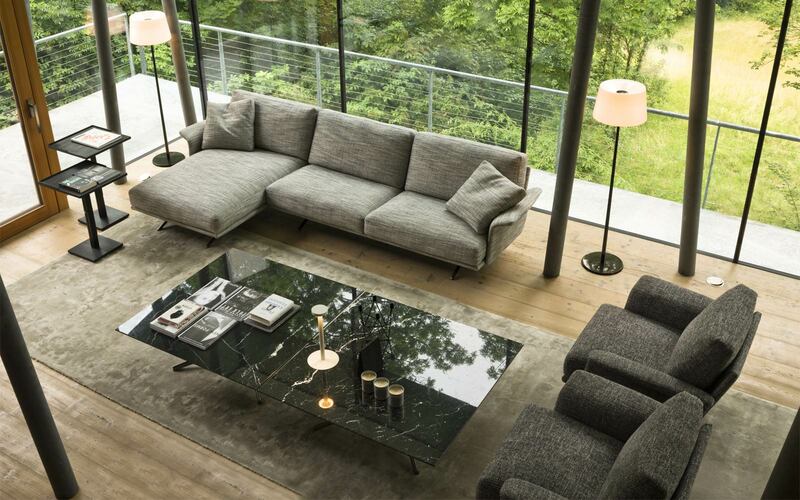 The feet and underlying frame of the sofa are made of metal with a bronze satin finish. The cushion armrests are fully removable to place anywhere on the sofa allowing you to customise the configuration easily. 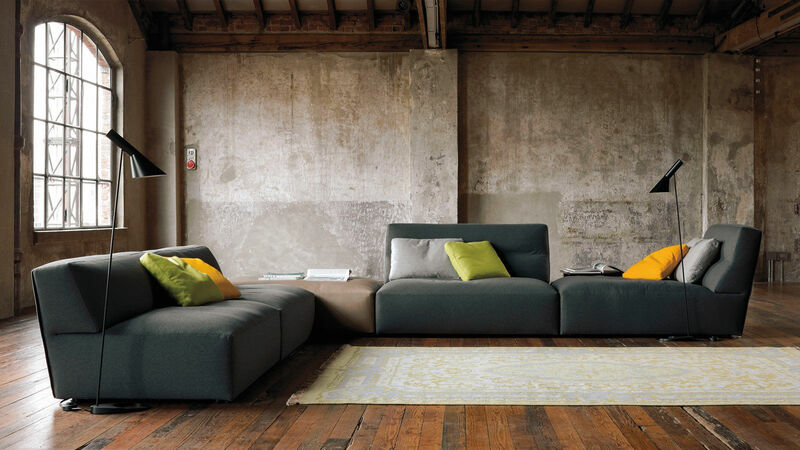 Many modular elements are available allowing for initial customisation of the sofa. 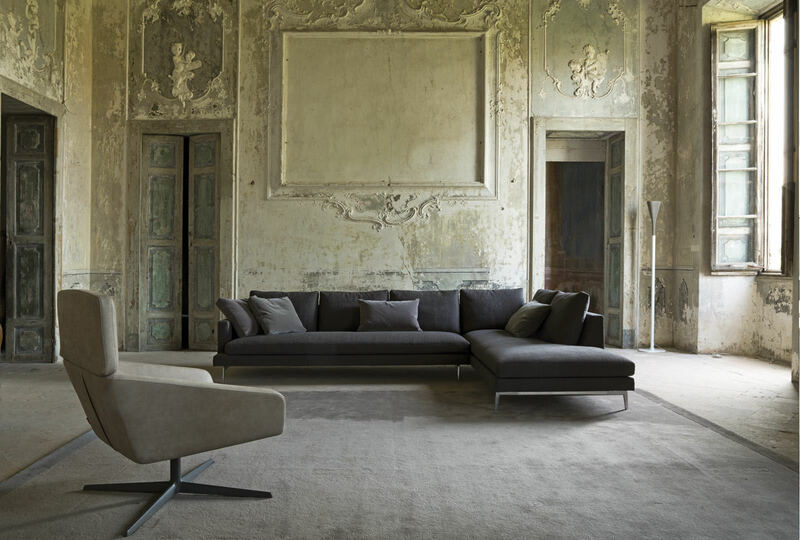 The bench surface elements are always covered in the fabric of your choosing but are also available with a top surface in calacatta oro, emperador and portoro marble or black cowhide. A range of fabric coverings are available and are fully removable as well as the option of various leather coverings which are not removable. 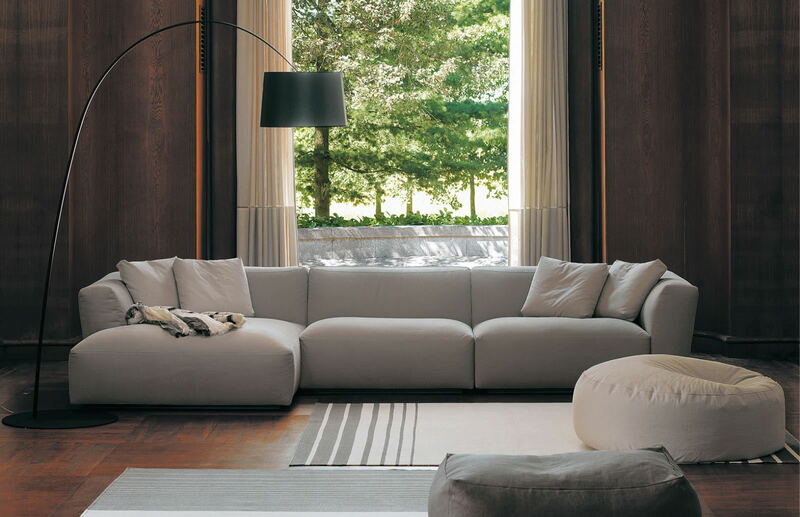 Single sofa available widths 210 / 240 / 270 cm. High armrest model increases width by 4 cm. Depth of the sofa is 90 cm. Base in Satin Bronze, integrated side table available with Black Cowhide, Emperador, Brown or Calacatta Gold marble tops. 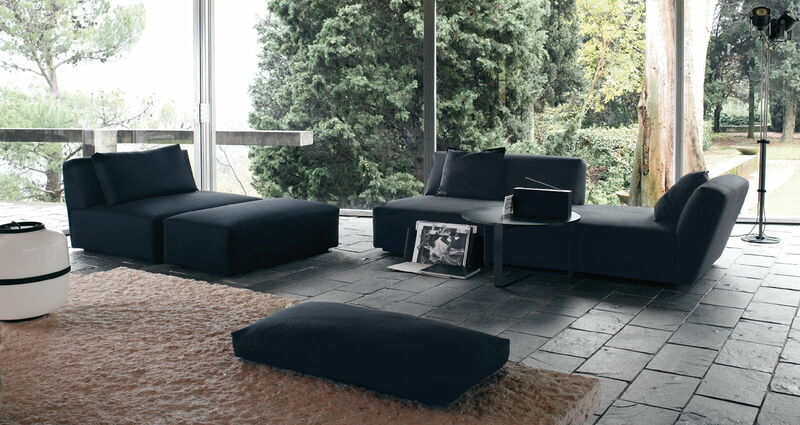 The modular system allows combinations of straight pieces, corner pieces, chaise longue and integrated side table. 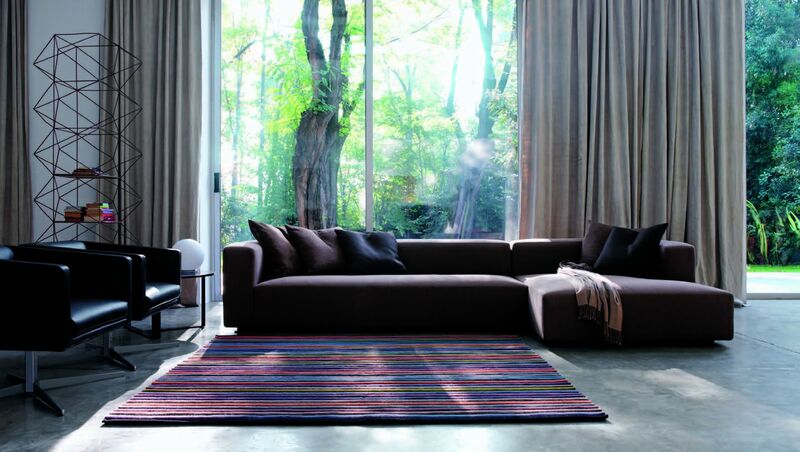 Sofa compositions can be ordered using the various modular elements available. 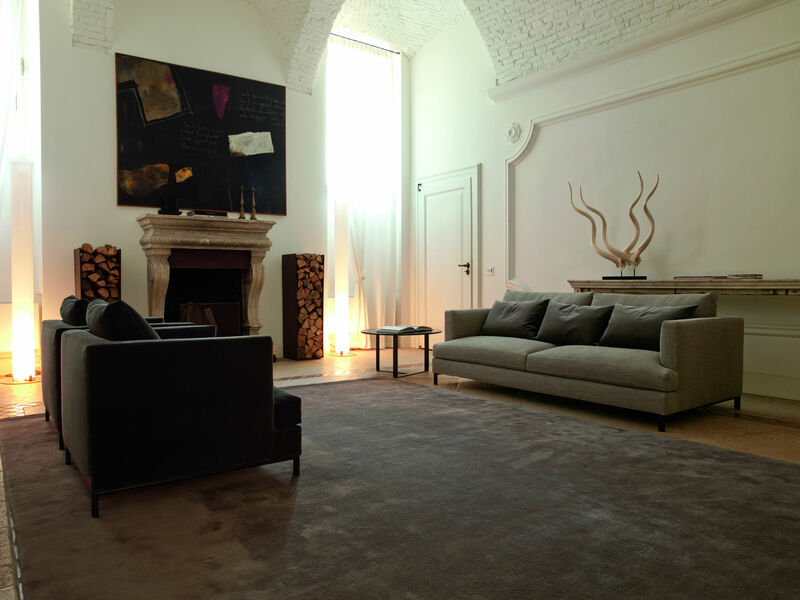 Please contact Living Space and Partners for assistance on finding the best solution.